Don’t get me wrong, I love pens. When I was six years old, my grandmother let me play with her fountain pen. It was a dusty blue Esterbrook from the 40s or 50s, and once a month, she’d let me watch while she gently cleaned out the internal bladder. Occasionally, she’d fill it with an ink different than her usual black — at Christmas, she may fill it with red or green, and at Easter, she loved light, pastel colors like purple or orange. I clearly remember that in the fourth grade of grammar school, we were finally allowed to graduate from pencils (In the 80s, we used fat, untipped Eberhard Fabers that were ubiquitous in classrooms across the midwest US) to pens. It just so happened that earlier that summer, my family went to the Center of Science of Industry Museum in Columbus, Ohio, and among other things like space ice cream and pressed copper souvenir pennies, I was allowed to buy a Fisher Space Pen in the gift shop. Have you seen a Fisher space pen? Touted (though perhaps disingenuously) as the official “NASA” pen, it claimed to write in zero-gravity, underwater, upside down — anywhere. As a space enthusiast even at that young age, I loved it, and used it until it literally fell apart. Who knew a $12 plastic pen in the hands of a fourth-grader would break so easily? I used pencils throughout the years, like Yikes! pencils in middle-school (a short-lived, neon-colored product of the early- to mid-1990s) and Bic mechanicals in the standardized testing years of high-school and college, but never really thought about wood pencils again until I started my first career-track job out of college — as the marketing director of a small arts nonprofit. I would find myself attending many meetings, taking notes, making list, erasing items off of that list and making annotations. All of this was a rather long-winded introduction to why you, the readers of a blog about fountain pens, would care about a wooden pencil. Perhaps you don’t, and that’s okay. But chances are, you use a fountain pen as a tribute to days and technologies gone by. Like those who drive with a manual transmission or shave with a straight razor, fountain pens are a simpler, purer, more beautiful way to accomplish your task. There are no springs or roller balls. You just use a reserve of ink, an irrigation duct, and gravity to get ink to paper. 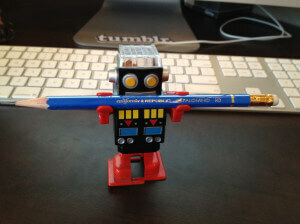 Pencils are participating in that grand tradition, and in fact, is an even simpler, purer way to accomplish that goal. While the craft of pencil production has been honed over the decades, it’s fundamentally the same concept of writing as ancient cave drawings by human ancestors — you pick up a piece of carbon, rub it on a surface in a certain pattern, and flecks of that carbon stick to the surface in that pattern. Sure, they’ve encased the carbon in wood so your finders don’t get dirty, and eraser technology changed the paradigm of writing more significantly than the “delete” key on a computer, but pencils are fundamentally the same as they were 100 years (and more!) ago. What’s more, is they offer a lesson in temporality. Life is fleeting, and so is your pencil. I may still have my grandmother’s 70 year-old Esterbrook which, if I keep it in good shape, can last another 70 years or more, even with regular use. But if I keep using my pencil, no matter how nicely I take care of it, it disappears. In a selfless act, in order for me to create, it destructs. And, if it’s tipped with an eraser, it pays for my mistakes with literal pieces of itself. While I do have small collection of fountain pens, and a small collection of another writing instrument I regularly obsess over — manual typewriters — my wooden pencil collection is the one that gets the most attention and additions. Fountain pens, as you know, are often expensive. Typewriters take up a LOT of room. Pencils, on the other hand, are small (I can fit several dozen of them in beautiful cigar boxes I can buy, empty and discarded, from a local tobacco shop for less than a dollar), and they are relatively cheap. With a few exceptions, even the finest pencil specimen currently sold, like the Palomino Blackwing 602, is less than two dollars each. My mother who is an active yard-saler, will often run across bags of old pencils for 25 or 50 cents — some homeowner will clean out an old desk drawer and just dump it in a bag to get rid of it. These will turn up some of the best pencils I’ve seen — pencils with old agricultural businesses of the past, pencils from weddings (My favorite celebrates the marriage of “Norma and Junior” in 1962), and even one given out by, presumably, a sorority “house matron” to her wards. There’s a history behind so many of these consumable, customizable tools — often, when they were created, they were personalized with the owner’s personality. Fountain pens, especially the fancy ones, were designed in a certain ageless way — solid, beautiful, long-lasting — and sometimes, bland. They were deemed too valuable to slap someone’s small business phone number on it, and along with that decision, a glimpse into the real-life context of that utensil is lost. I will continue to use fountain pens in certain contexts — they’re great to sign documents or fill out forms that require ink. They’re perfect for long-form letter writing. And dang, do they look good in your suit jacket pocket. 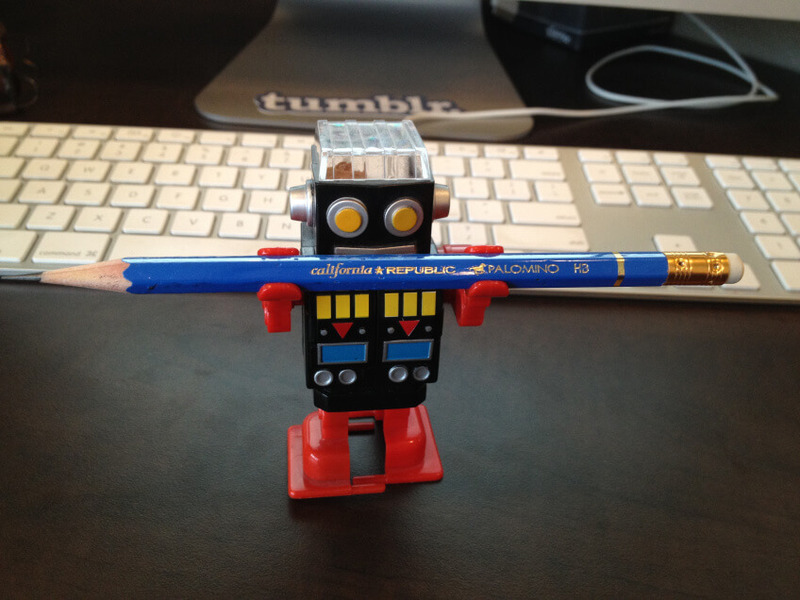 But the humble wooden pencil will always remain the most flexible and useful tool in my drawer. Andy Welfle is copywriter and content strategy by day, at a digital agency in Fort Wayne, Indiana, USA. By night he is a pencil collector and blogger, and writes regularly at Woodclinched.com. Follow him on Twitter at @awelfle, or App.net at @andyw.